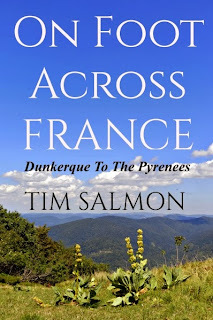 My bookworm Wednesday review today is for On Foot Across France - Dunkerque To The Pyrenees by Tim Salmon. This book had me hooked from the beginning; anyone who starts a book talking about weighing his underwear must have a great story to tell, and he does. Tim’s story is about his walk from Dunkerque in the north of France to the Pyrenees, following La Méridienne Verte, the line that neatly bisects France straight down the middle. In 62 walking days he covered approximately 1315km on foot, but unfortunately it was not as straightforward as locating the track in Dunkerque and following clearly marked signs all the way down. It was a true navigational adventure. This book would be perfect for the thinking armchair traveller who wants to see France and talk to her people. Many thanks to the publisher Blackbird Digital Books who sent me a copy to read and review. 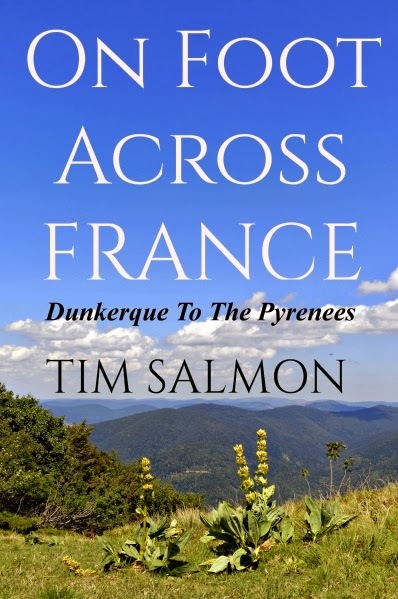 On Foot Across France - Dunkerque To The Pyrenees is available in paperback and ebook format and links to Amazon can be found below.